The North Avenue Animal Hospital YouTube Channel, a compilation of playlists including educational videos, informative demonstrations, and some fun! Thinking of adding a new family member? What dog breed would best fit my life? 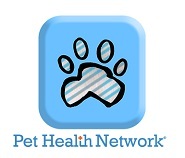 Article "Before the Baby Comes Home"
For more information from a reliable source, try searching the Veterinary Information Network (VIN) Library, located on our website under Pet Health Library.